1 What do you get when you combine Adam Levine's genes with Behati Prinsloo's? A super ~*adorable*~ Dusty Rose! 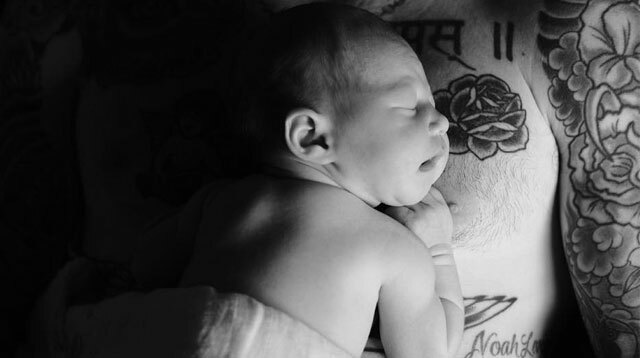 The new parents both took to Instagram to introduce their cute bundle of joy and we can't get enough! 2 NU MUSES is searching the globe for 12 women for the first ever NU MUSES Calendar Models and our girl Janine Tugonon made the cut! The finalists will be announced on September 28. We're rooting for you, girl! 3 We're not gonna lie; we totally ship Bea Alonzo and Gerald Anderson. So when we found out that these two have been hanging out post-How To Be Yours, we couldn't hide our kilig. In an interview with PEP, Bea admitted, "Hindi naman kami nagtatago. We go out. Wala namang masama. Parang wala naman kaming nasasaktan." 4 ICYMI, Kendall Jenner got a lot of heat for her ballerina-inspired Vogue feature last week. And it looks like she's had enough of the haters because yesterday, Kendall deactivated the comments section of the first photo she posted from the shoot. Yikes. 5 Looks like Snapchat is turning over a new leaf! Not only is it called "Snap" now, it's also about to launch its first "video-grabbing" glasses called "Spectacles" or "Specs." The Specs will come in three colors and they'll have cameras in the frames. You'll be able to record 10- to 30-second Snaps, which you will eventually need to transfer to your smartphone. And all that work will cost you $130...yeah, we're not sure about it either.